Repotting When In Bloom: Good Idea Or Not? clear plastic pots with no ventilation. They are also in bloom. I’d like to get them into a new pot. I worry about the lack of air on the roots causing decay. Before you decide whether to repot, you’ll want to take a close look at the plastic pot to see if there are in fact holes or slits in it. Most orchids sold at Home Depot and the like come in plastic pots set inside a heavier, decorative pot. The plastic pots usually do have drainage holes in the bottom, so you’ll want to remove the inner plastic pot and double check for holes in the bottom or slits along the side. Sometimes there is just one hole at the bottom, but even one hole is miles better than none! 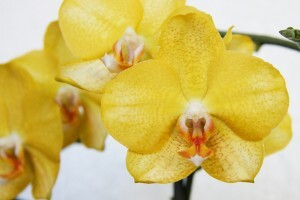 If you do fine drainage slits or holes, you can relax and enjoy your orchid’s blooms. If there are no slits or holes, you’ll want to repot, stat!  Let’s talk about the pros and cons of repotting while an orchid is in bloom.